Frank Pepe's Pizzeria Napoletano opened in Danbury last week, bringing those inimitable New Haven pies just a little bit closer to our northern Fairfield County grasp. But do they reach their full Wooster Street potential? 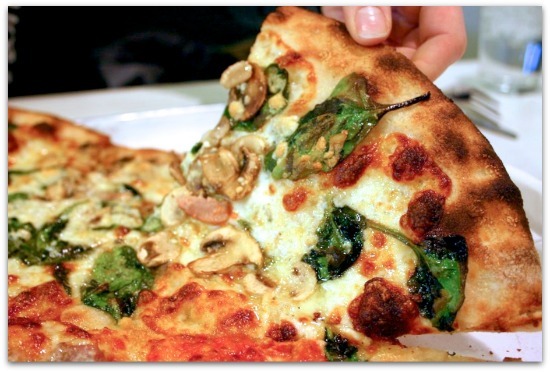 "The white spinach, mushroom, and gorgonzola half was served with mozzarella and a heck of a lot of garlic, oil with a nice blast of salt. The edges of the pie were nicely charred. Ingredients, shape/appearance and execution? Looks like the Pepe's we know and love ..."
Read the full take on this newest Pepe's outpost, and where things begin to unravel, over at Slice.